In at #35 on my countdown this year is the official entry from Finland, “Look Away” by Darude featuring Sebastian Rejman, written by the artists. The song is performed in English, and will be performed 3rd on the first semi-final on May 14. DJ, songwriter, and producer Darude (real name Ville Virtanen) shot to fame in 1999 with his instrumental dance club smash “Sandstorm“, which hit the charts around the world, including here in the U.S., and although he’s continued to work non-stop in the nearly (OMG really?) TWENTY years that have passed since that song took the world by storm, he’s released projects only occasionally, preferring to produce rather than perform. Singer Sebastian Rejman has been a star in his native Finland for decades, both as a musician and as a television host and occasional actor. Finland made its EuroVision debut in 1961, and has appeared 52 times over the years. They got their first and only Grand Championship finish in 2006 with one of the most popular EuroVision winners of all time, Lordi’s Hard Rock Hallelujah. 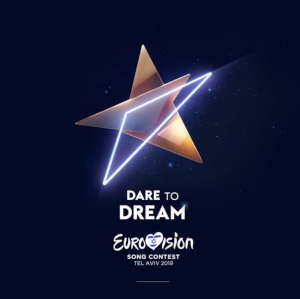 But it also should be noted for historical accuracy that they are also part of EuroVision’s equivalent of Dancing With The Stars‘ Kenny Mayne Club, having finished dead last ten times, actually receiving “nul” (zero) points for their song entries in 1963, 1965, and 1982. They finished in the middle of the pack with the fan favorite “Monsters” by Saara Aalto last year…and i’ll be bringing this song up again later on in the countdown for a completely different reason, heh heh….